A small oval shaped chairside or coffee table was carved of solid walnut in the 1920's. The original black Italian "Nero Portoro" marble top has been polished and sealed to resist stains, there are tiny flakes at the edges. 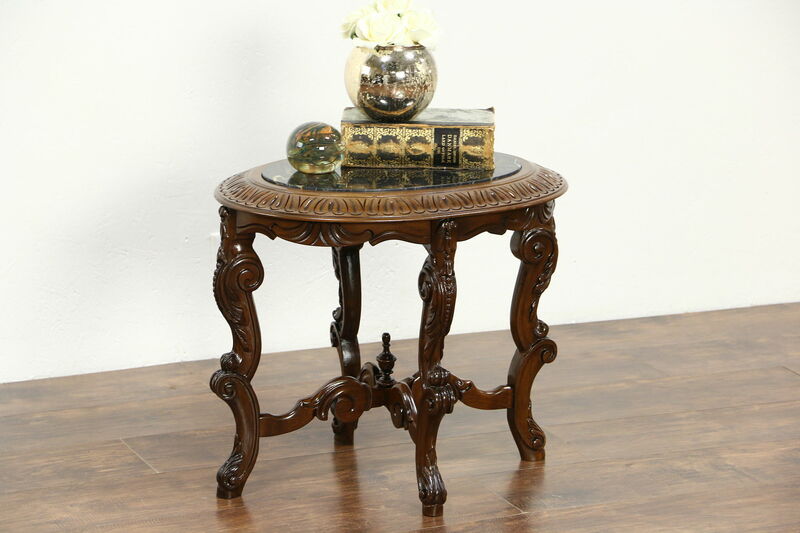 Richly carved, the sturdy trestle base has a center finial on this American made antique furniture. Size is 23" long, 17" wide and 20" tall.